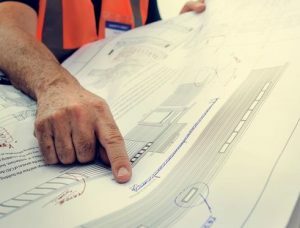 Another type of insurance independent contractors need to have from time-to-time is builder’s risk insurance also known as course of construction insurance. This type of property insurance provides coverage where the construction is taking place. It’s unique in that it can be tailored to cover specific areas or more. If you require builder’s risk insurance in California, then California Contractors Insurance is here to help. We provide any type of builder’s risk insurance you may require, no matter the length of terms you require, which typically run from three, six, or 12 months. The term can be extended, though normally just one time. When it comes to the details and terms involved with builder’s risk insurance it can provide coverage a variety of different ways. For example, builder’s risk insurance can cover just the building or structure involved. For more information, you’ll want to contact the experts at California Contractors Insurance. We have the professionals who know all the ins and outs of this unique yet necessary type of property insurance. Each of our agents in California is expertly trained, knowledgeable and certified to tailor any builder’s risk insurance policy you desire. We’ll provide you with the coverage which will give you the peace of mind you need. Are you covered with the type of property insurance your job site needs, such as builder’s risk insurance of course of construction insurance? Not sure? Don’t worry, it’s a unique type of coverage but one we here at California Contractors Insurance company can provide for you. To request a quote, call us today at (888) 728-4034. Builders’ risk insurance in California is a kind of insurance policy that protects devices, products, and components in a building that is still under construction. Therefore, the structure under construction is the entity being insured, but the coverage might encompass the products and components or devices within the vicinity. Various risks can cause a problem to the construction progress in California. For instance, it is possible for the structure to catch fire while under construction, or for some materials to fall off and damage some equipment. How Far Does The Coverage Go? The builders’ risk insurance coverage typically in California pays for damages to the coverage limit. Thus, the owners are generally encouraged to make sure the protection limitation accurately reflects the total finished worth of the structure, including the total cost of material and labor. The value of the land is not considered in this case. In some cases, the construction budget will set the coverage limit. The terms of the policy also vary from one company to another. The policy can be written in terms of 3, six or twelve months. In case the task takes longer to finish, the insurance provider might extend the coverage but only once. While the policy intends to protect against damage that will compromise the project, there are some circumstances the coverage will not apply. Typically, the policy will cover risks like fire, theft, hail, lightning, vandalism, vehicle or airplane mishaps and sometimes wind. There are instances where the coverage might not apply. This will consist of (but not restricted to): staff member theft, water damage, weather condition damage to material and property outdoors, mechanical breakdown, war, earthquakes, federal government actions or breach of contract in any instance. There are minimal covers in the event of the structure collapsing. Some damages are covered by a professional liability. These circumstances include poor design and preparation, workmanship and products. A different insurance policy can cover natural disasters like earthquakes and floods. There are instances the policy will not apply, and your insurance provider will make sure to let you know. The builders’ risk insurance will not cover other individuals’s property. It also will not cover subcontractors as they are required to have their own coverage. The policy also doesn’t apply where there is no professional liability, mishaps hurting individuals at the site, or where the devices and tools are not insured. 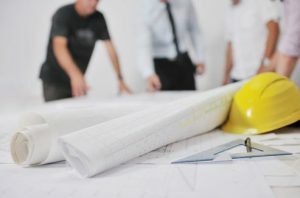 The protection will generally end when the construction is complete, and the building is occupied, hence in the event of an accident, the policy will not apply. The builders’ risk insurance policy is meant to cover losses associated with the construction of the particular structure. The finer terms and conditions will generally vary from one company to another, and hence, you are advised to make sure you comprehend how far the protection will go. Having such a policy in place will avoid hold-ups, and the monetary repercussions should an accident compromise the structure. Therefore, consider purchasing a builders’ risk insurance policy for your construction job.